Meeting your metal fabrication and anodizing needs since 1971. Need a little support boarding or exiting your watercraft? The dock safety rail on a dock or seawall provides that extra stability. 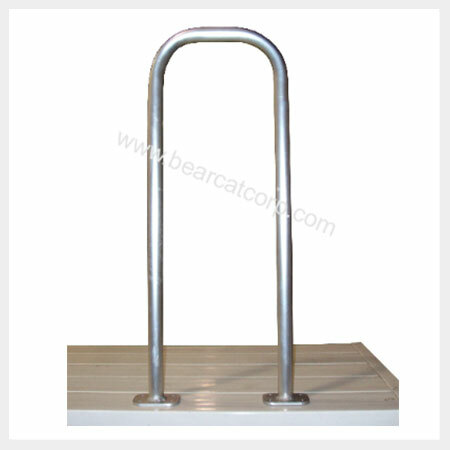 The safety rail is 12″ wide and 33″ tall. Need different dimensions? Give us a call and we can customize your safety rail for your specific needs. © 2019 · Bearcat Corporation Inc.